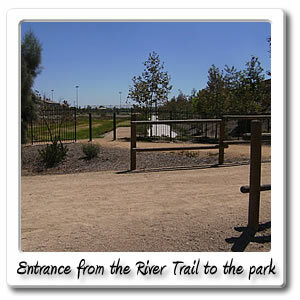 Welcome to Steve Ambriz Memorial Park on the Santa Ana River bicycle trail. 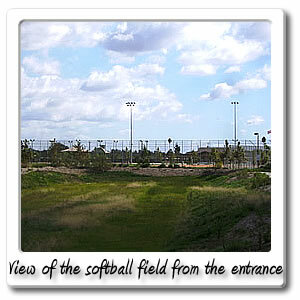 Located at 611 Riverbend Parkway, in the City of Orange, you can find 10.5 acre Steve Ambriz Memorial Park, which opened in early 2012. 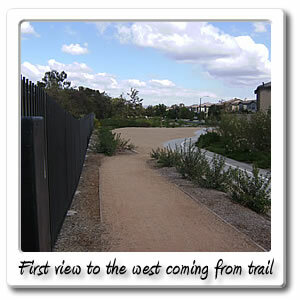 You can find it through a opening in the fence, surrounded by wooden barriers, right at the 16 mile marker on the Santa Ana River Trail. 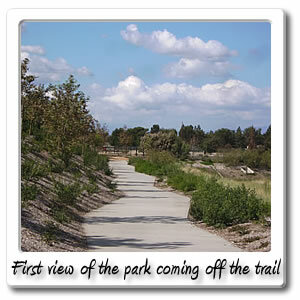 Once found right off the dirt trail, almost immediately next to the paved trail, you will find a concrete path that will lead you directly into the park. 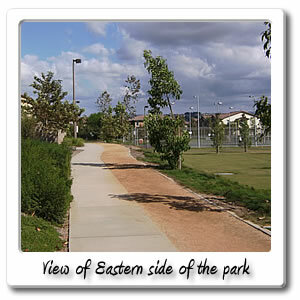 The park is about half way between the Lincoln Avenue, to the south and to the east, the Glassell Street entry point. 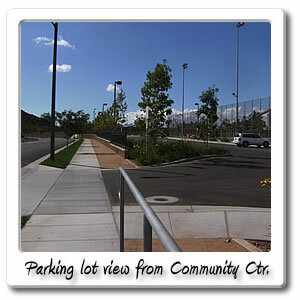 Being a park, there is a good size parking lot at the end of the park. 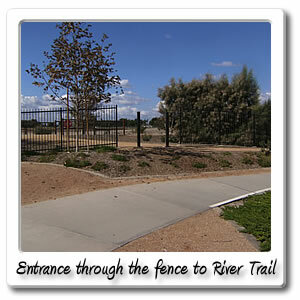 The facilities that can be found there include a community building, that has room for about 65 people, and is available only by reservation. 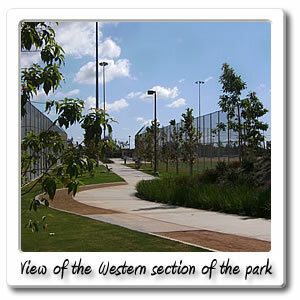 There is also a picnic area that has 6 tables, that's estimated to seat about 48 people, along with barbeques. You can find other picnic tables throughout the park, that don't have to be reserved. 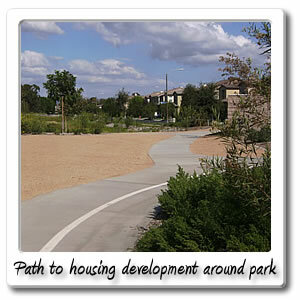 The other things that can be found here, is a playground, for kids, that has three different structures. 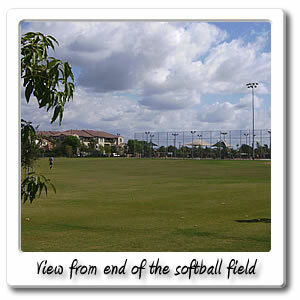 Also there are two lighted softball fields, one basketball court, and two lighted tennis courts.